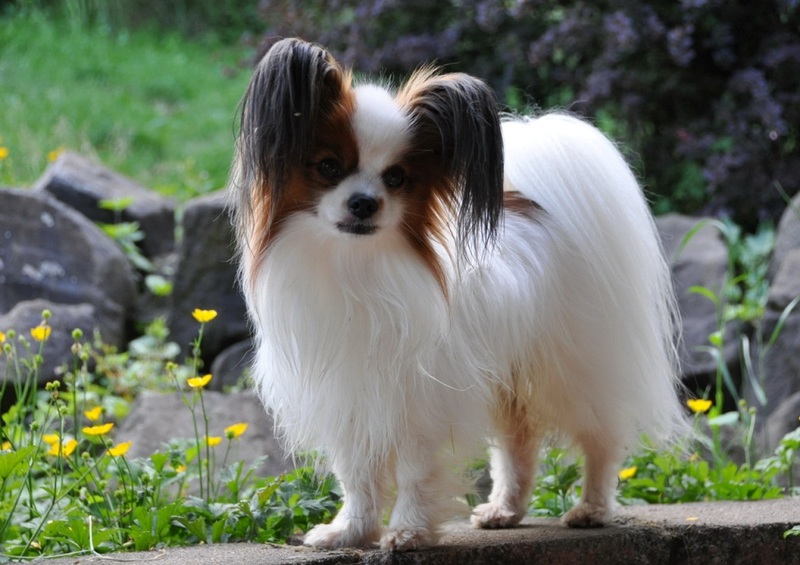 Those small dogs are highly sought after by many people for their small size that makes them look like a toy and even smaller. 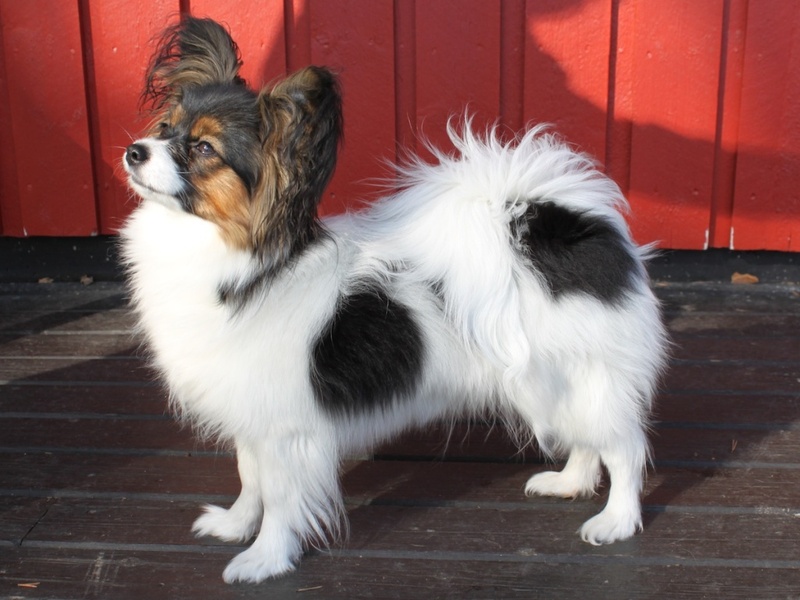 The Papillon dog is one of these desirable dogs since it is loved by many dog lovers. 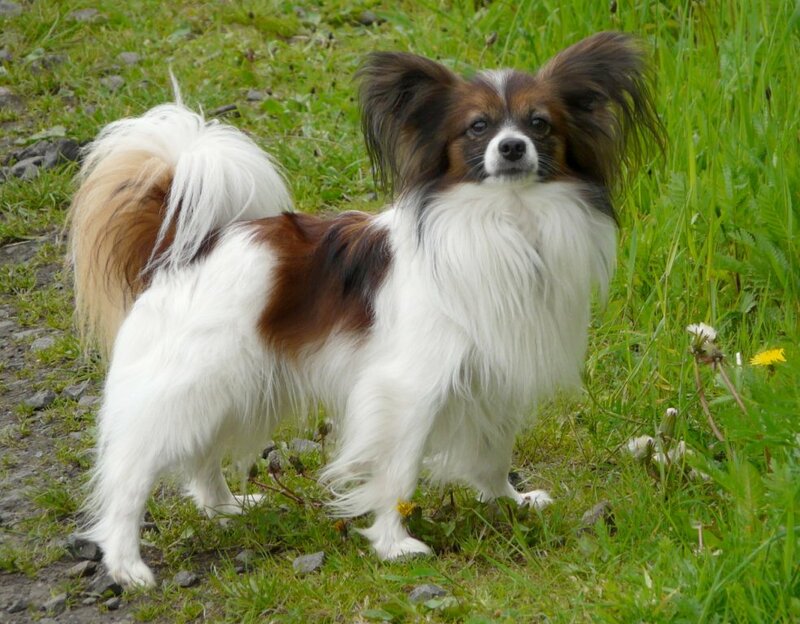 The Papillon dog originated in France and there are several names that are used for calling it such as “Phalène”, “Continental Toy Spaniel” and “Epagneul Nain Continental”. 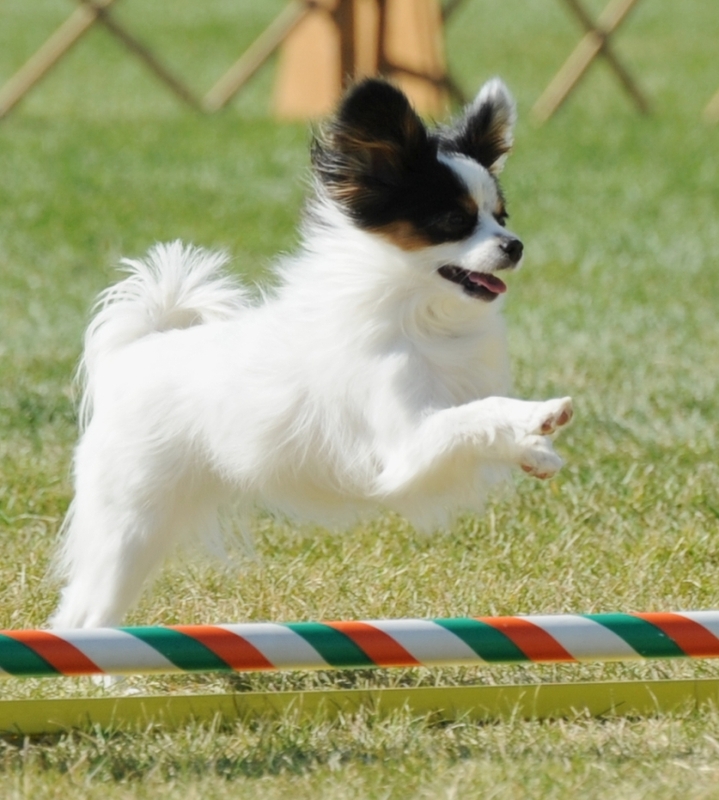 There are also other nicknames for calling Papillon such as “Butterfly Dog” and “Squirrel Dog”. 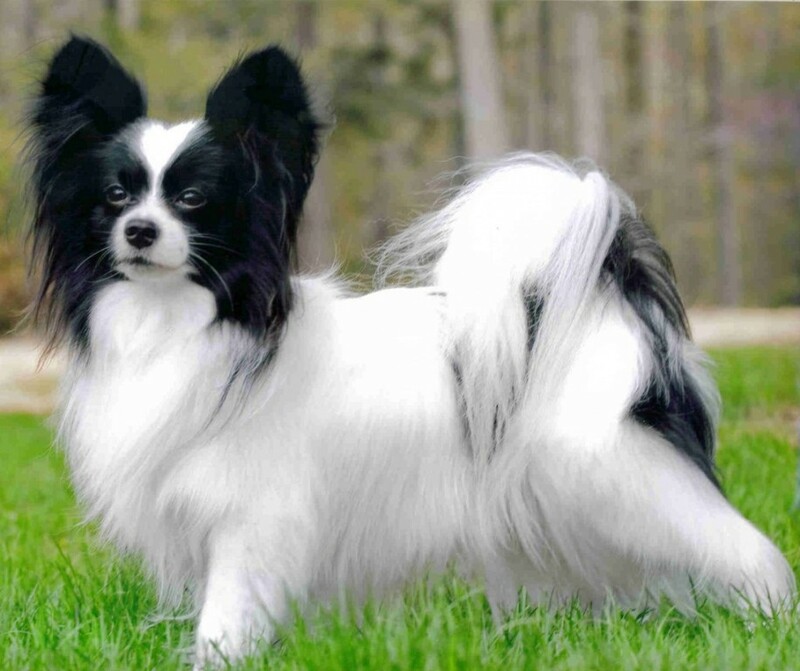 Each name of these names is used to reflect a specific feature as they are all derived from the characteristics of the Papillon dog. 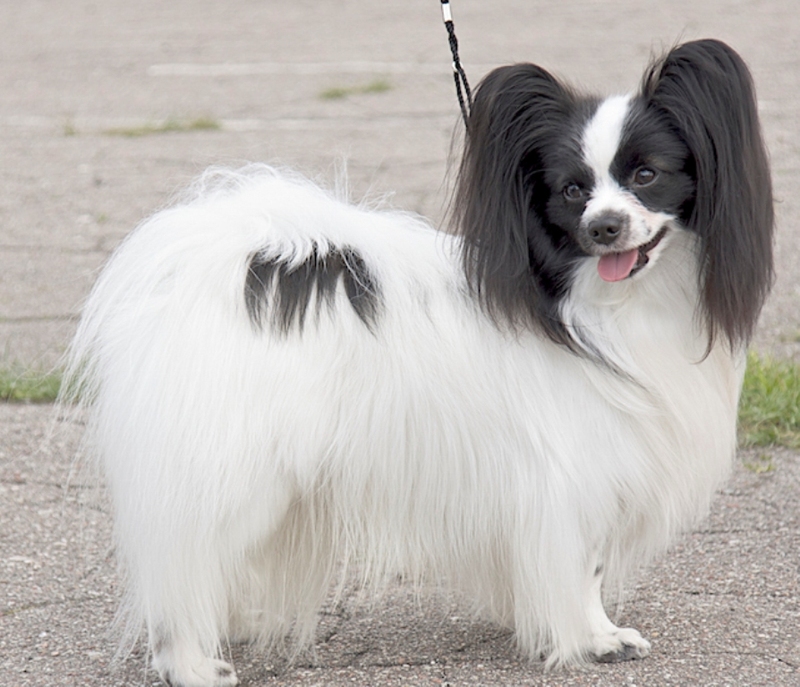 The Papillon dog belongs to the Spaniel type of dog breeds and is considered to be one of the oldest toy dogs. 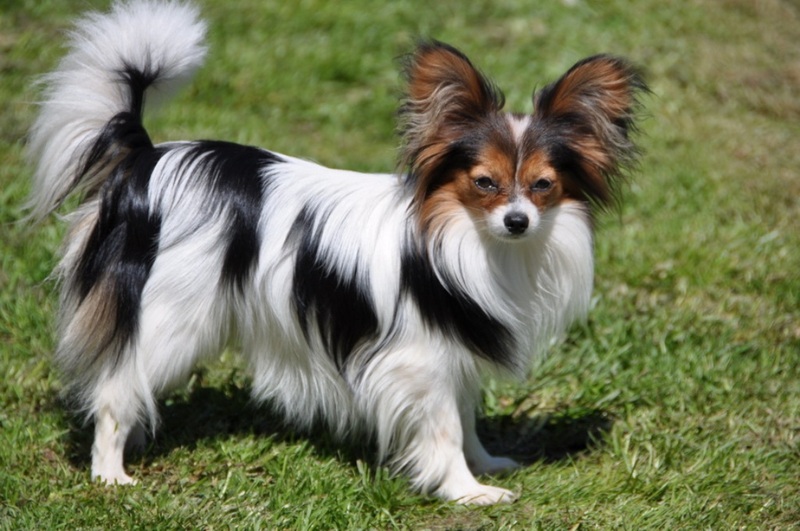 The Papillon dog started to be popular in France, England and Belgium in the 1500s. This popularity spread after that to be found in different countries around the world. 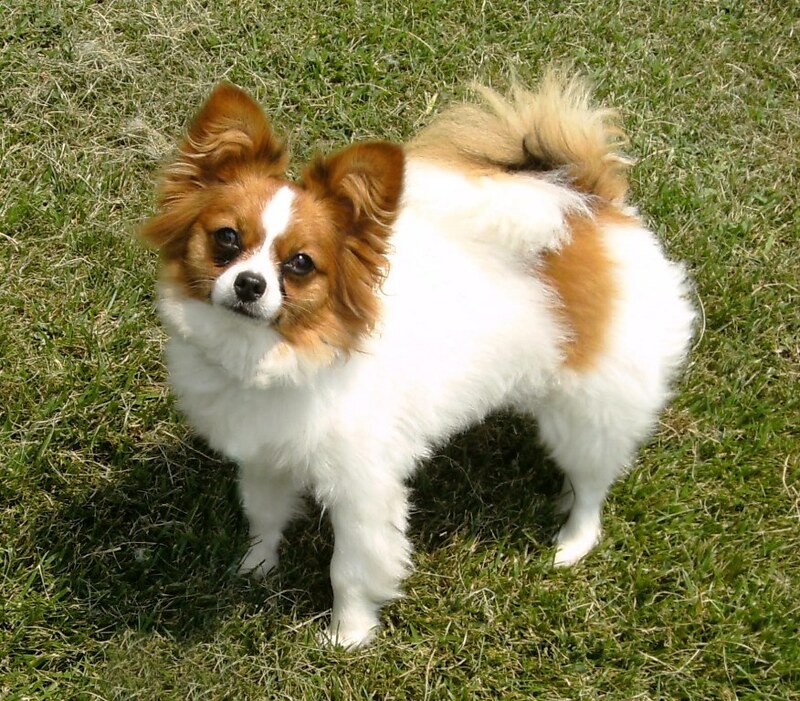 ♦ What are the physical characteristics of the Papillon dog? 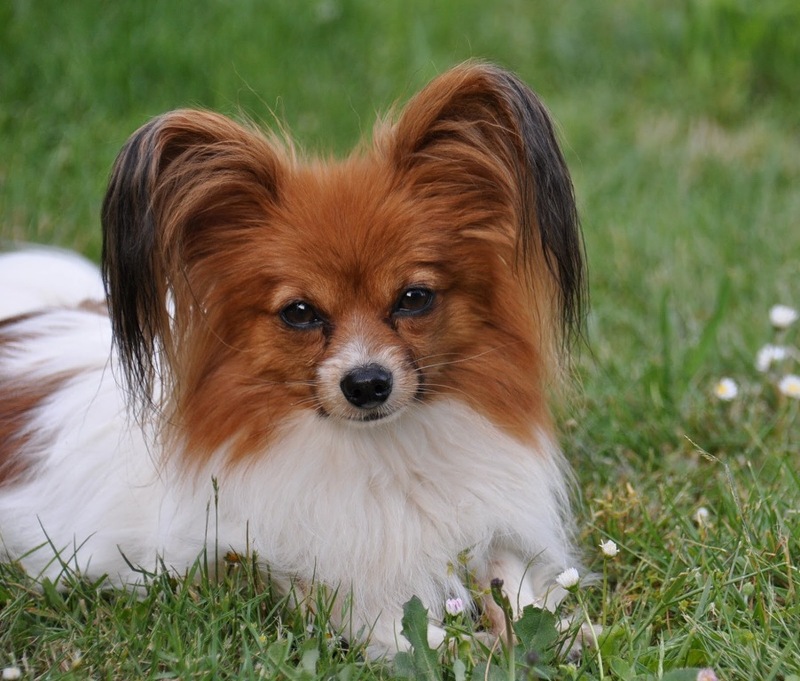 The Papillon dog has a small head which is a little bit rounded between the two ears, short muzzle, round and dark eyes, long tail covered with fine and long hair and large ears which may come to be dropped or erect. 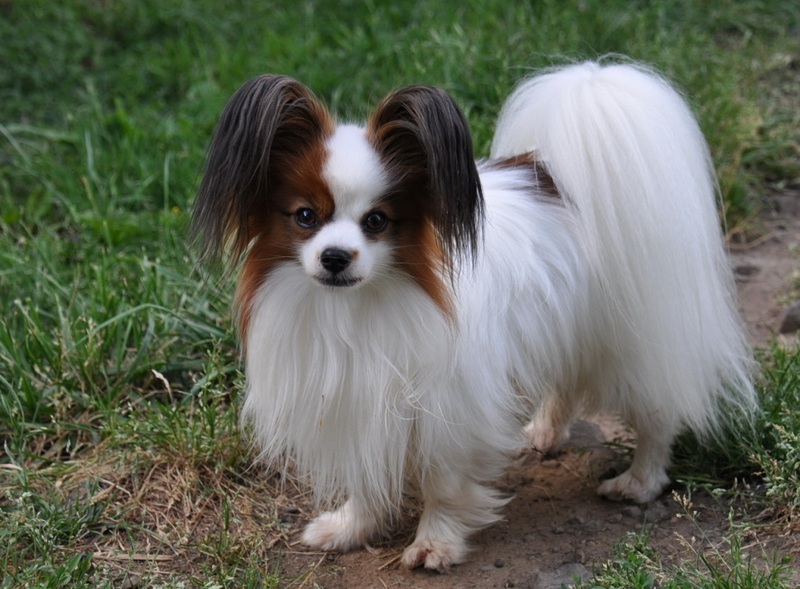 The hair that the Papillon dog has on its ears is long and fringed making it look like a butterfly and this is why it is called “Butterfly Dog”. 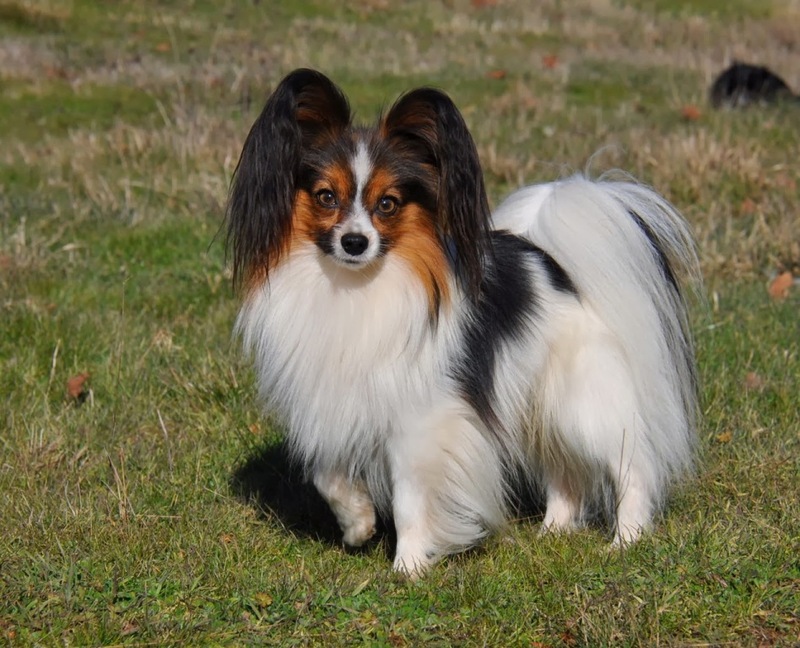 The single coat that the Papillon dog has on its body is fine, long and straight with more frill on different parts of the body such as the ears, chest, tail and legs. 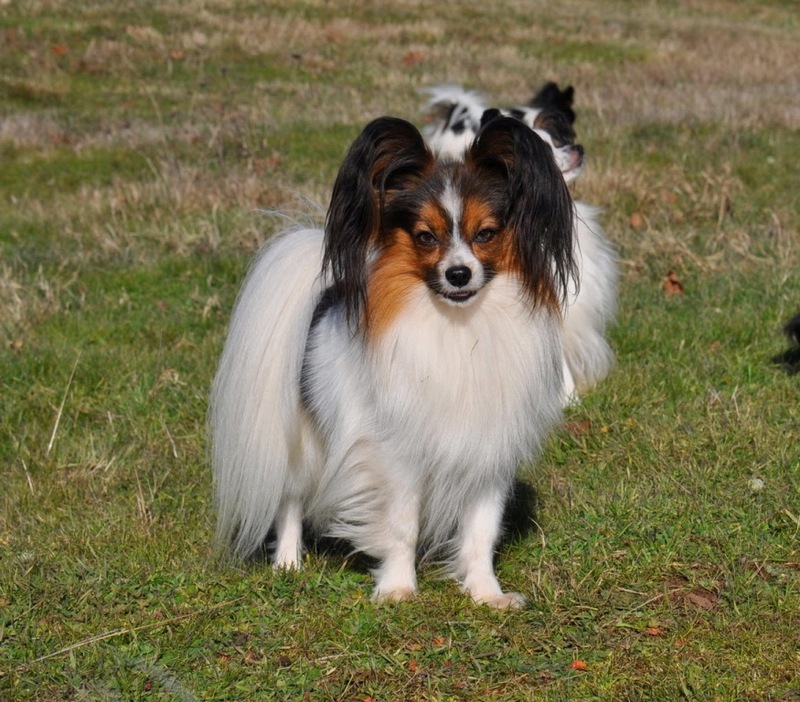 The main color of the coat is white and there are patches on the coat in different colors. 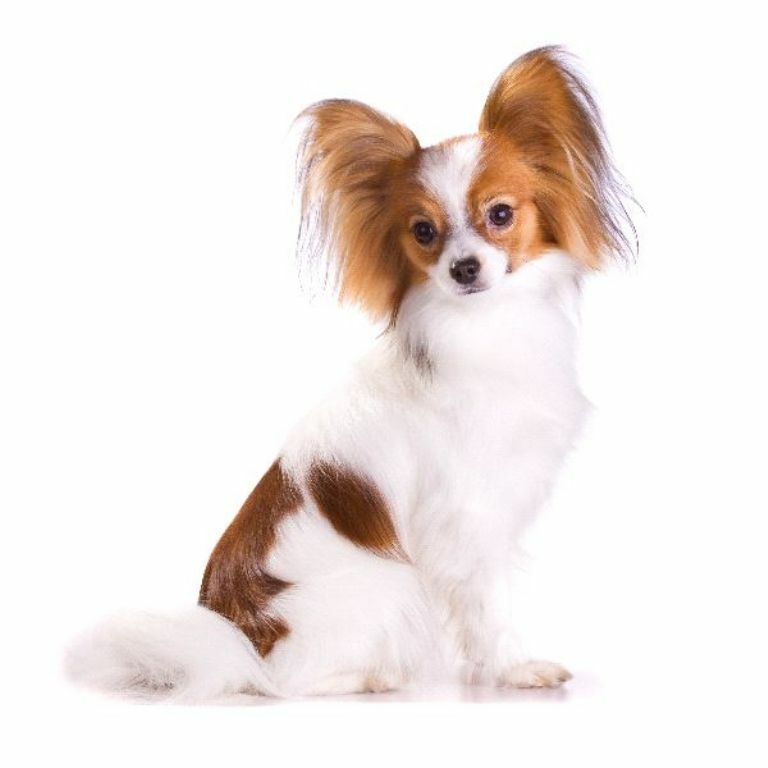 The whole body is covered with the white color except for the two ears and eyes which are covered with another color from the back to front. 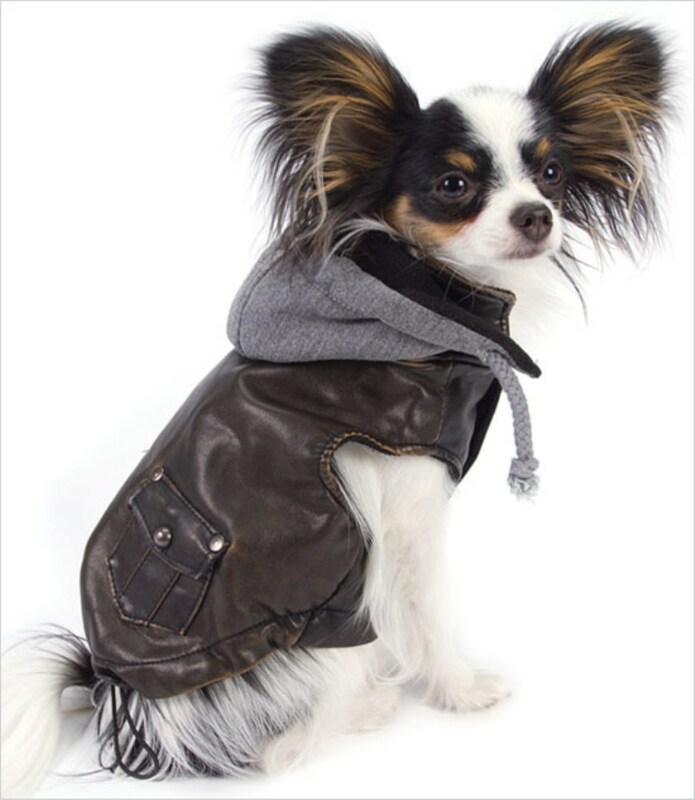 The single coat that covers the Papillon dog’s body makes it sensitive to the cold weather, but there is no problem with heat as the Papillon dog can withstand it. 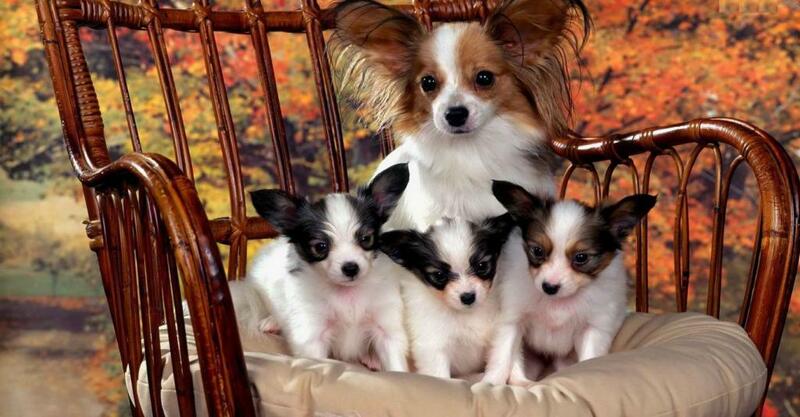 ♦ What about the Papillon dog’s personality? 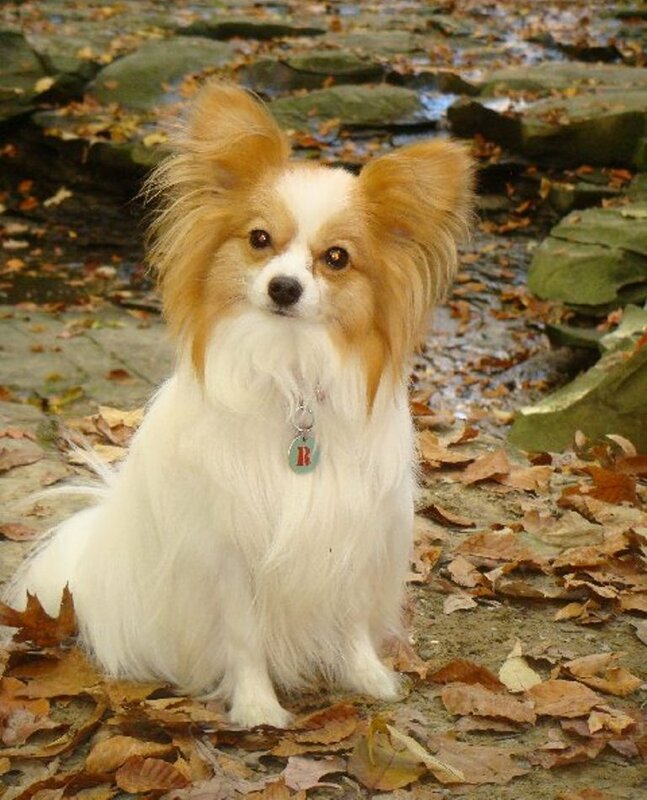 The Papillon dog is small in its size; however it is known to be very intelligent. 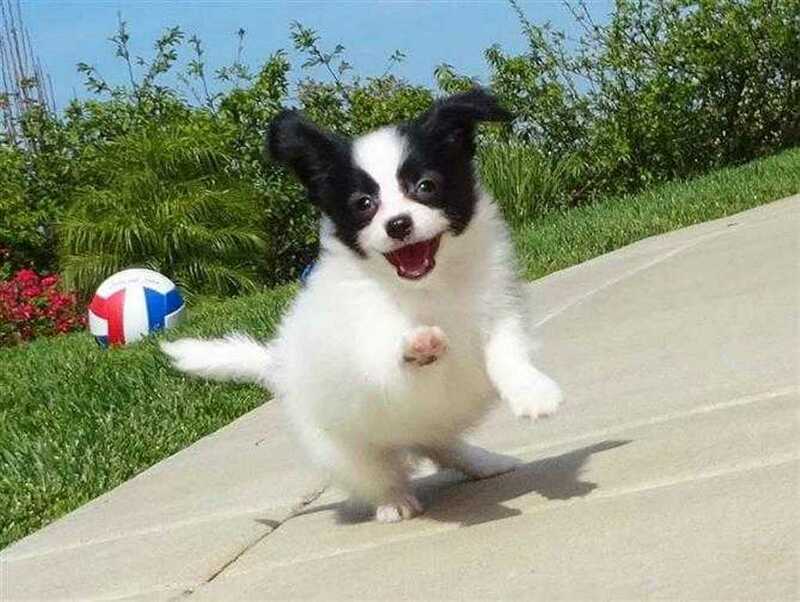 It is also highly confident, affectionate, happy, active, energetic, playful, adventurous, need regular exercise, able to quickly learn new tricks, sociable, friendly to children, good with strangers, reserved with new people, socialize with other pets but need to be trained, perfect companion for everyone in the family and adaptable to different circumstances giving it the ability to live with active families and others who live a calm life. 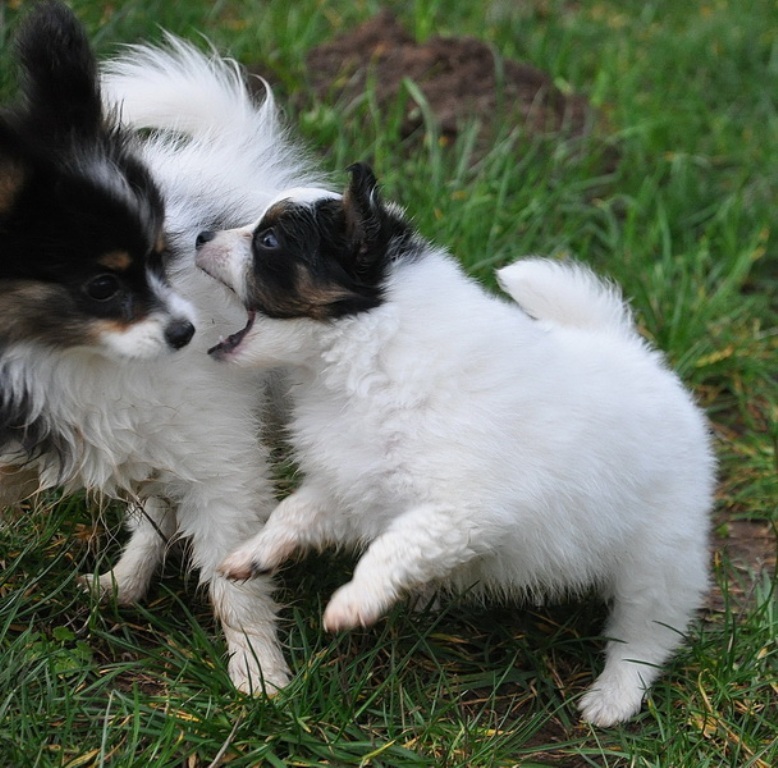 Training the Papillon dog is highly required because without it you will find that the Papillon dog is very aggressive whether it is towards other people or pets. 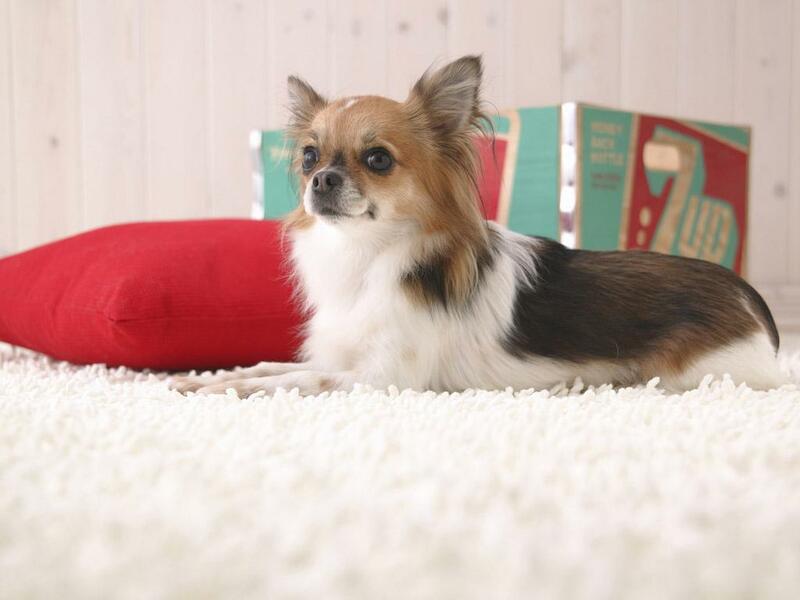 Although the Papillon dog is small in size and thought to be weak, you can depend on it as a perfect watchdog that alerts you when there is a non-traditional change in the surrounding environment. 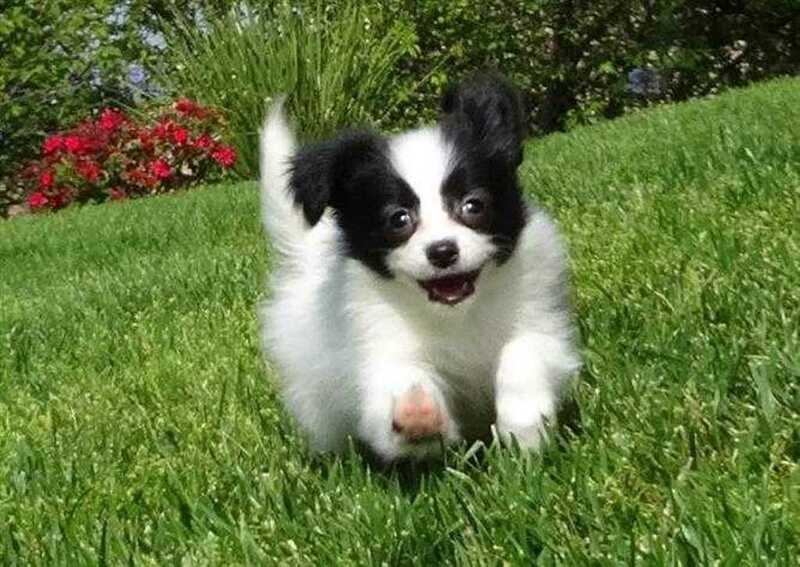 The Papillon dog is energetic and this is why it needs a daily walk and it will be good to give it the chance to play. 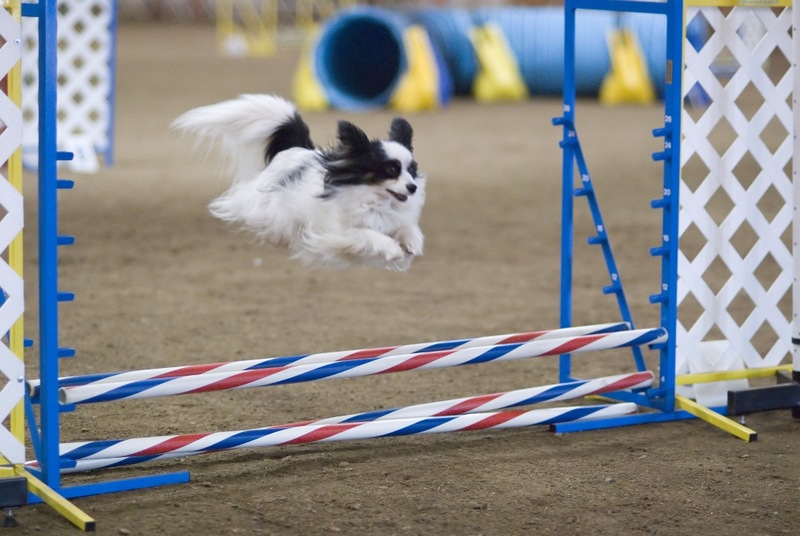 Running is also perfect to allow your Papillon to exercise. 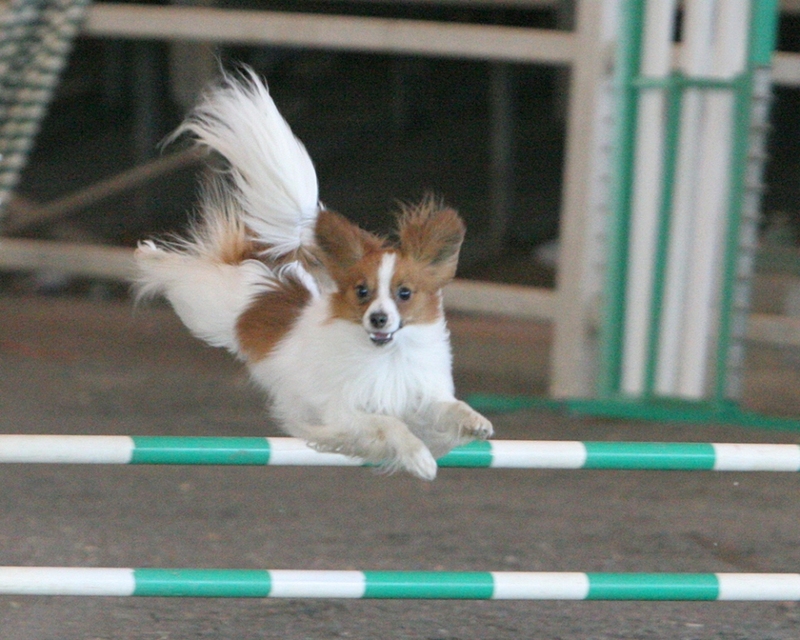 The best dog sports that are recommended to your Papillon are rally obedience, dog agility and obedience training. 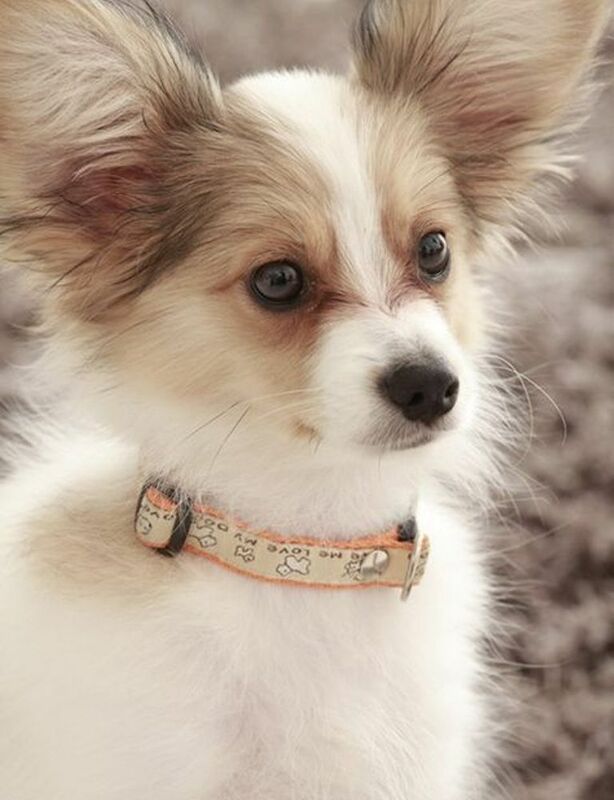 What Are the Most Popular Dog Breeds in the World? 10 Uses for the Dalmatian Dog, What Are They? 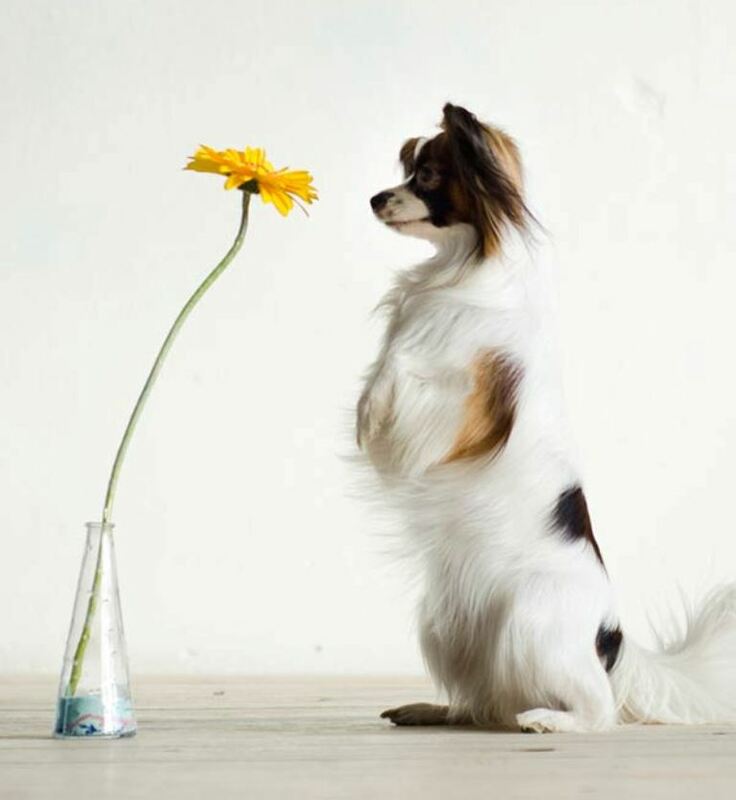 Does Your Pet Have Some Kind of Allergy?